Clay County Medical Center Birthing Unit is a great place to have your baby providing a warm and safe, family-focused environment. 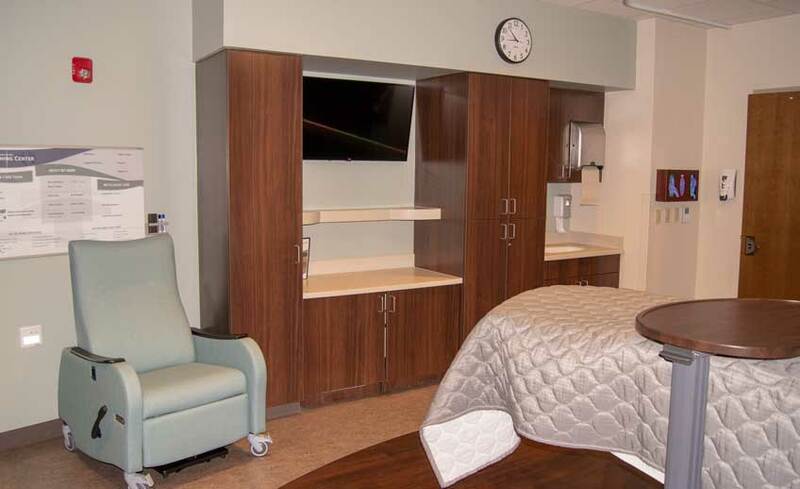 Our birthing suites are designed with your comfort in mind. 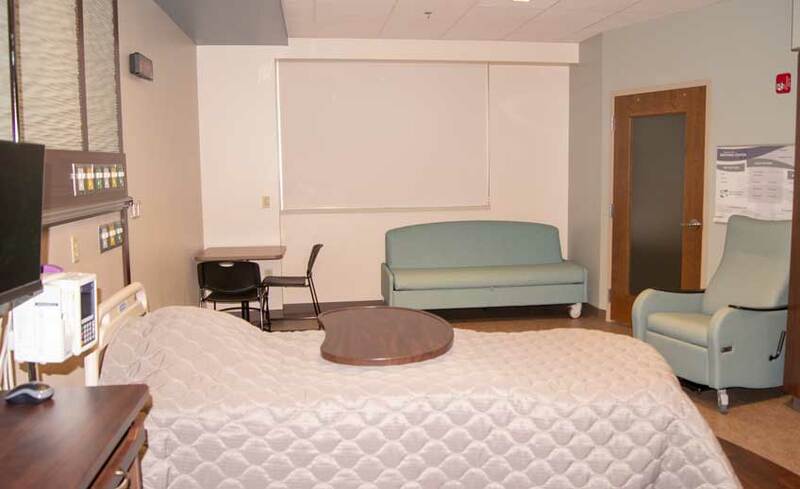 You will labor, delivery, recover and spend the rest of you postpartum stay all in the same spacious suite. 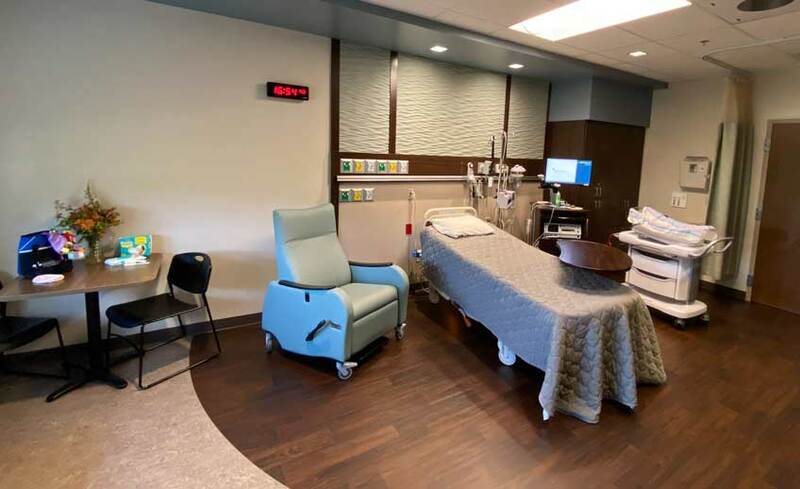 Our suites feature a state-of-the-art birthing bed, health monitoring equipment for mother and baby, sofa bed for guests, recliner, and a private bath equipped with a shower and whirlpool tub that can assist in comfort during labor and recovery among other amenities. Our beautiful OB suites offer both comfort and privacy. 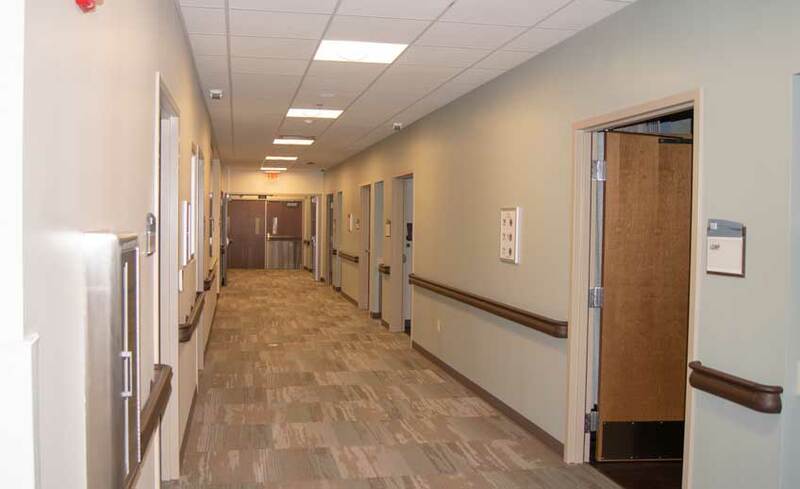 The birthing center also includes triage capabilities in an additional room and surgical suites adjacent to the unit. Twenty-four hour anesthesia coverage is available for those requesting an epidural. 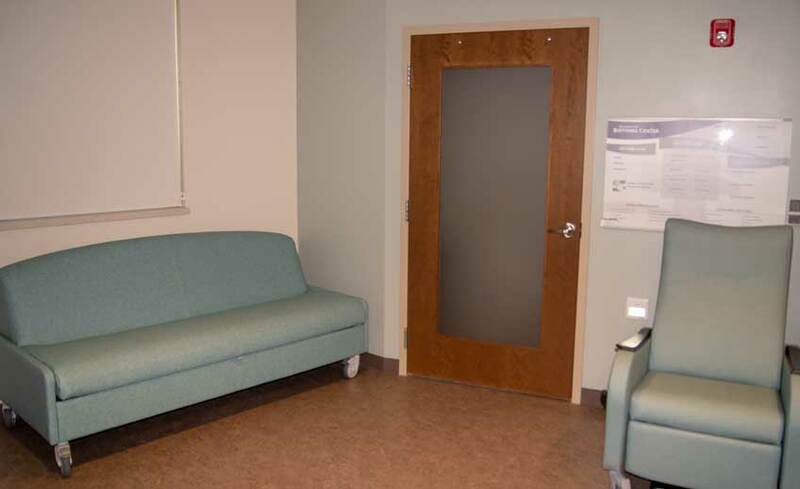 Our neonatal observation room is within the area to ensure closeness for moms and babies when needed. Labor and delivery is a unique and special time. Your birthing experience will included one-on-one nursing care by a Registered Nurse with specialized training. Making sure your baby gets off to a good start in life is important. During the first hour, named “The Golden Hour”, skin-to-skin bonding and the first feeding will occur. After you have spent those first hours enjoying this special time with your new baby, any assessments or procedures your newborn needs will be done at your bedside. We support rooming-in, so you may keep your baby with you at all times to give you and your new family plenty of time for bonding. We feel it is important for you to learn to respond to your baby’s cues and gain more comfort and confidence in caring for your baby. We encourage your partner to stay with you and baby. Our staff nurses and lactation counselor will help ensure that you and your baby are provided the care you need and are prepared to go home upon dismissal. With written consent, photo of the newborn will be placed on the CCMC website at: www.ccmcks.org/webnursery. Clay County Medical Center's newborn baby photo program includes a complimentary packet of printed photos. We are pleased you have chosen our facility and hope these photos express our appreciation for choosing us as well as providing a special memory of this very special time for you as parents. Friends and relatives may visit during visiting hours 8:00 a.m. to 8:30 p.m. New fathers are welcome to visit any time. Siblings are welcome to visit you and your baby in the hospital when accompanied by a responsible adult at all times. We have planned a quiet time each day from 2:00 p.m. – 4:00 p.m. and recommend that you ask visitors not to come during that time to ensure you and your newborn have adequate time to bond and recover. Visitors should be free of any illnesses (colds, flu, contagious diseases, etc.). Preventing infections is a top priority. We encourage you to wash your hands frequently with soap and water or use hand sanitizer before touching your baby. Please encourage your family and friends to do the same. Labor and delivery is a unique and special time and you may have many questions. Our prenatal childbirth and breastfeeding education classes can answer your questions and help you prepare. This gives you the opportunity to prepare for your delivery, meet our compassionate and caring staff, and to help you deal with the unknown factors that come along with pregnancy and birth. You will be provided the information and resources needed to make decisions. For more information, read about Childbirth education classes on our Education page. If you are looking for a skilled doctor for your needs from pregnancy to delivery and beyond, contact Clay Center Family Physicians at (785) 632-2181. The Healthy Mommy, Healthy Baby program provides in-home visits to expectant mothers and their families, providing a number of services to promote health for mothers and infants at no cost. Community Health Workers will guide expectant mothers through each stage of pregnancy, as well as your child’s growth. Please visit www.simplybaby.org for more information and additional resources.